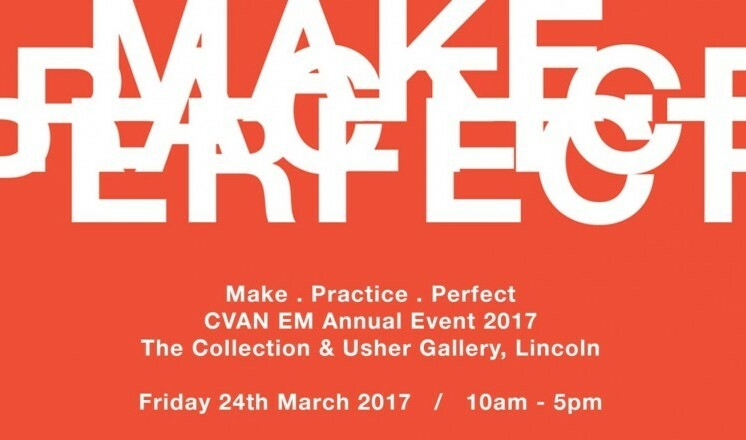 • CVAN EM Document artists (Andrew Bracey, Geoff Litherland, Jessica Harby, Kajal Nisha Patel, Tim Shore, Tracey Kershaw) will collectively consider what has been of benefit to them in pursuing their practice. • Art and capital, does art need money to be produced. • Daniel Sean Kelly – artist, co-director of Two Queens and School of the Damned student 2017. Daniel will consider whether or not we need an art education. • Joanne Lee – photographer, writer, researcher and publisher and Senior Lecturer in Graphic Design at Sheffield Hallam University. Joanne will consider the notion of procrastination and what stops us from making work. • Mark Smith – Executive Director, Axisweb. Mark will consider out of the gallery practice, support structures and DYI practice. • Roma Piotrowska – Exhibitions Manager, Ikon Gallery. Roma will consider the notion and practice of useful art, self organisation and user generated content. Contributors will pose a provocation to stimulate engagement from and discussion amongst attendees. Interactive sessions will consider what are the barriers to making work and whether they are perceived or actual, as well as what opportunities are available to us and what changes we can effect in the region to support our practices.